The size of the ozone hole waxes and wanes seasonally. We have only recently detected that it is beginning to shrink, thanks largely to the CFC ban. Did you know there was a hole in the ozone layer? Thanks to swift, decisive international action not many people under a certain age probably do. 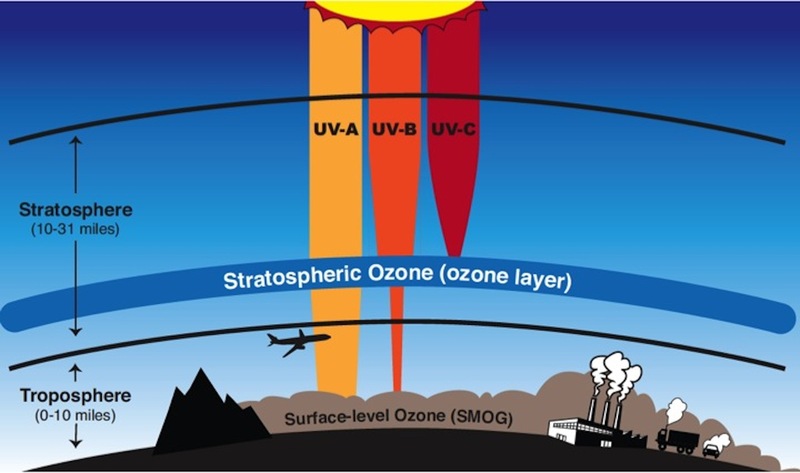 Those of us over a certain age, however, should remember the ozone hole—a precipitous seasonal drop in the amount of ultraviolet radiation-blocking, skin cancer-preventing oxygen molecules over Antarctica—as being among the top environmental concerns in the 1970s and 1980s. Once we had detected the hole, the scientific community quickly realized that it was caused by the reaction of ozone with chlorine—an atmospheric invader. As it turned out, the chlorine was coming from a class of chemicals that we had been releasing into the air for some time called chlorofluorocarbons, or CFCs for short. While we noticed this trend in Antarctica first because the clouds there have unique properties that speed this reaction, we knew that the reaction was occurring all over the globe, and, if unchecked, would eventually destroy the entire ozone layer and leave us and all our fellow surface dwellers totally exposed. To keep this from happening, the governments of the world came together and agreed to take collective action. Their plan was codified in an international treaty known as the Montreal Protocol on Substances that Deplete the Ozone Layer. Happily, the measures worked, and a recent article in the journal Science this past summer reported that the hole over Antarctica is healing. This was doubly meaningful for me because, besides sharing everyone’s delight in seeing a piece of good environmental news for once, I was part of a NIST team that worked to help bring this about. But before we get into all that, some background. Without the ozone layer, we'd all need to wear a lot more sunscreen. Beginning in the 1930s, CFCs were widely used as refrigerants in home refrigerators and air conditioners, cleaning solvents, and as foam-blowing agents for making things like egg cartons and coffee cups. While NIST (actually, then still the National Bureau of Standards) wasn’t yet concerned with finding replacements for CFCs in the mid-1980s, it did have an active research program at its Gaithersburg, Maryland, campus to improve the efficiency of air conditioners and heat pumps, and that’s where my part in this story begins. I came to NIST fresh out of graduate school at the University of Wisconsin in 1984. My group leader, David Didion, was experimenting with ways to improve the efficiency of heat pumps using mixtures of refrigerants. At the time, no one in the industry was working with these types of mixtures, and there were no tools for designing heat pumps to work with them, so we teamed up with Graham Morrison, a chemist in another division at NIST, to puzzle it out. Together, Graham and I developed a simple equation of state for refrigerant mixtures. Graham did the theoretical work, and I did the programming. By early 1987, the role that CFCs played in destroying our stratospheric ozone was becoming clear, and we realized that only NIST had the in-house expertise to research both the properties of the new refrigerants we would need to replace CFCs and their effects on the performance of refrigeration equipment. To begin, we laid out the characteristics that an “ideal” refrigerant would have (non-toxic, non-flammable, low ozone-depletion potential) and developed a systematic way to examine alternatives. We presented our initial findings at a conference of refrigeration engineers in the summer of 1987 before a special session on the looming restrictions on the CFCs. Dave and I were the third to present, and the preceding speakers included a prominent industry executive who spoke eloquently about the challenges the refrigeration industry would face as CFCs were phased down. I remember being a little nervous, thinking, how am I going to follow this guy? But our results were well received, and the technical paper based on our conference presentation was completed on Sept. 16, 1987—the date of the signing of the Montreal Protocol. After that, my career trajectory at NIST was pretty much set for the next decade. While Didion’s group focused on the equipment-related aspects of applying the new refrigerants, I transferred to NIST’s lab in Boulder, Colorado, in 1988 to study the thermodynamic properties of refrigerants. There, we built upon the simple equation of state that Morrison and I developed in the mid-1980s and eventually our work grew to become the NIST REFPROP database—a PC-based program that provides engineers with the data they need to design refrigeration equipment. Now in version 9.1, REFPROP is the go-to program for refrigerant properties throughout the refrigeration industry. It has evolved to include many fluids besides the refrigerants and, also, much more accurate equations of state. REFPROP is the public face of the NIST program on refrigerants, but it relies on data gathered at NIST and around the world. 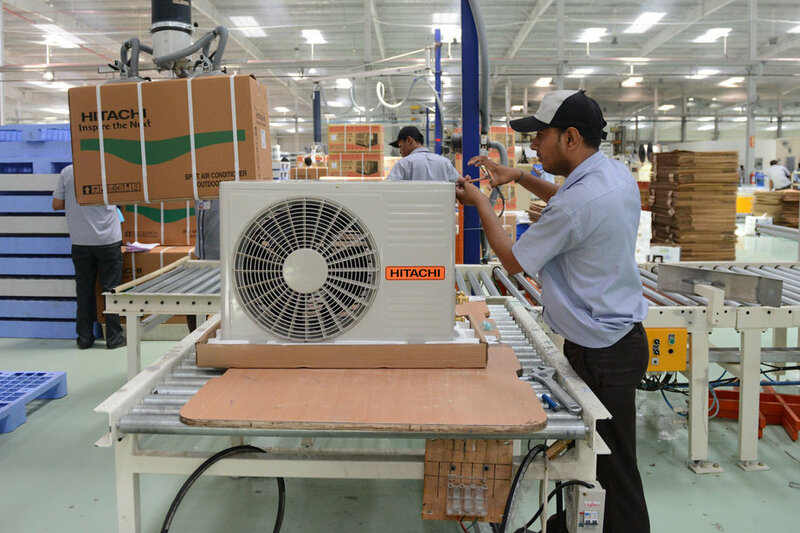 The search is on for refrigerants that contribute less to global warming than HFCs, but also one developing countries like India can afford to use. While we were measuring the properties of a wide variety of new refrigerants and building up REFPROP, the Montreal Protocol was also evolving. Although the 1987 Protocol called only for a 50 percent phase-down of the CFCs, later revisions completely phased out CFCs as well as the related, but less ozone-damaging hydrochlorofluorocarbons (HCFCs), which were used in home air conditioners, among other applications. The HCFC phase-out posed an interesting challenge: While HFC-134a was a good one-for-one replacement for the CFC-12 used in refrigerators and automotive air conditioners, there was no suitable replacement for the HCFC-22 used in home air conditioners. Using the tools and expertise that Didion and Morrison had developed a decade earlier for measuring natural gas, we determined that the solution was a blend of HFCs. Now, virtually all the home refrigerators and auto air conditioners built since the mid-1990s use HFC-134a, and most residential heat pumps and air conditioners use a mixture of HFCs known as R-410A. Those fluids allowed the world to make an amazingly rapid transition away from the ozone-depleting CFCs and HCFCs, and it’s a great feeling to know that equipment like your refrigerator was designed with the data from NIST—data that have contributed to something as important as the healing of the Antarctic ozone hole. The Montreal Protocol is widely regarded as the most successful international response to an environmental threat ever put into place (so far!). It proves that it is possible to identify and mitigate environmental threats by working together and following the science. Which brings me to climate change. That’s not the case anymore, and in October 2016 the Montreal Protocol was revised again, this time to phase down HFCs. So, it’s “deja vu all over again,” and we find ourselves having to identify and measure a whole new set of refrigerants. Besides measuring several of the “new-new” refrigerants and adding them to REFPROP, including R-1234yf, which is starting to be used in cars, what else could NIST do? Well, several years ago we anticipated that restrictions on HFCs were likely and repeated, in some sense, that systematic 1987 search for alternatives. This time, however, we started with a database of 60 million chemical structures and had the benefit of far more advanced tools, including the ability to predict a refrigerant’s properties based solely on its molecular structure. I took the roles of principal investigator and spokesman for the project and left the technical heavy lifting to another great team of collaborators, including Piotr Domanski from my old Thermal Machinery Group in Gaithersburg. The end result, recently published in Nature Communications, is a list of 27 fluids that might be suitable refrigerants in future air conditioners. While 27 might seem like a generous list to choose from, there is no single-component fluid that is an ideal replacement for R-410A in air conditioners. Once again, it seems likely that refrigerant mixtures will save the day—I guess that it’s a good thing that I paid attention back in graduate school when Prof. Hill was giving his lecture on mixture thermodynamics! Good article, Mark. As a fellow ChE, I can appreciate the work that you did. Great job! Mark, a nice summary of the recent history of refrigerants. Important work that you and NIST have done!